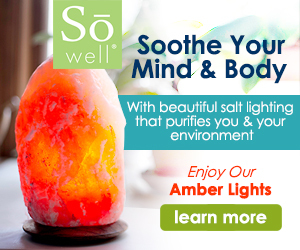 Many people believe that Himalayan Salt Lamps can somehow alleviate the stress that they believe may be caused by having multiple sources of electromagnetic radiation in our homes and daily lives, but is there any scientific truth to all these glowingly impressive but almost completely anecdotal reports? The short answer is, possibly. 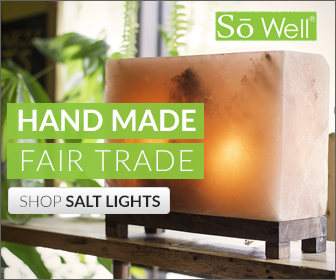 If you are the kind of person that is happy to take people’s word for it, then there are great many people who swear blind that the presence of a Himalayan Salt lamp in their home has brought a kind of calm that they associate with being in natural settings, like on the beach or by a beautiful waterfall. The truth is that most completely ‘natural’ settings are far removed from a great many of the technological items that surround us on a daily basis as the average modern city-dweller. Of course, as any scientist will tell you, we are constantly bathed in electromagnetic radiation from the sun. The earth itself also has an electro-magnetic field, so indeed to all humans, down to the very last individual cell. The idea that our health may be affected in unforseen way due to the presence of modern televisions, wi-fi, computers, smartphones etc is a controversial one, but the plain truth is that there has not been a great deal of research into the matter, considering the sheer weight of discoveries made in the course of the last one hundred years since electricity has been harnessed for human use. Technology has simply been moving and progressing so fast, and our ability to measure different things has also advanced so drastically that it has simply not been possible to completely map all the effects of these new discoveries, as yet. We do know that there is an electro-chemical element to the majority of our biological processes at a cellular level. We do know that electromagnetic radiation, in the form of light, can signal the body to make profound hormonal changes in the individual, signalling the best times for sleep and so on. We also know that our moods can be affected by these hormonal changes, as can other things like our appetites, our ‘energy levels’ and so on. It is likely that in the future there will eventually be a much more complete understanding of the electro-magnetic properties of the human body, and how it can be affected by different kinds of electro-magnetic radiation in the environment, but for now the science is in its infancy. We also know that Himalayan salt lamps are not separate from this world of electromagnetic waves, they were created by the Earth, and the Sun, and so they are an electromagnetic effect, just like life itself. They are made up of a crystalline matrix of their constituent elements, all of which are in ionic, and thus electrically charged form, even if they are held in a neutral and stable matrix in their solid state. Once dissolved in water, rock salt will vastly increase the electrical conductivity of that water. Other crystals, such as quartz, have measurable and slightly unfathomable electrostatic effects, hence their heavy use in our modern electrical devices. Although rock salt is an insulator, it is not just any insulator, it is a very specific type of insulator, with a measurable resistivity. Since we do know that insulators can be just as important as conductors in the storing of energy – capacitors, for instance, are constructed of both conductive and insulating material – who is to say that there are not effects of Himalayan salt lamps on the ambient electromagnetic radiation present in the modern home?